Who doesn’t love a nice bowl of Mac’n Cheeze? Well if you don’t, that’s just crazy to me…so ignore the rest of this post. I love the fact that there were several optional things you can do with Mac’n Cheeze, especially this one. I opted to follow along and used peas and a can of diced tomatoes. 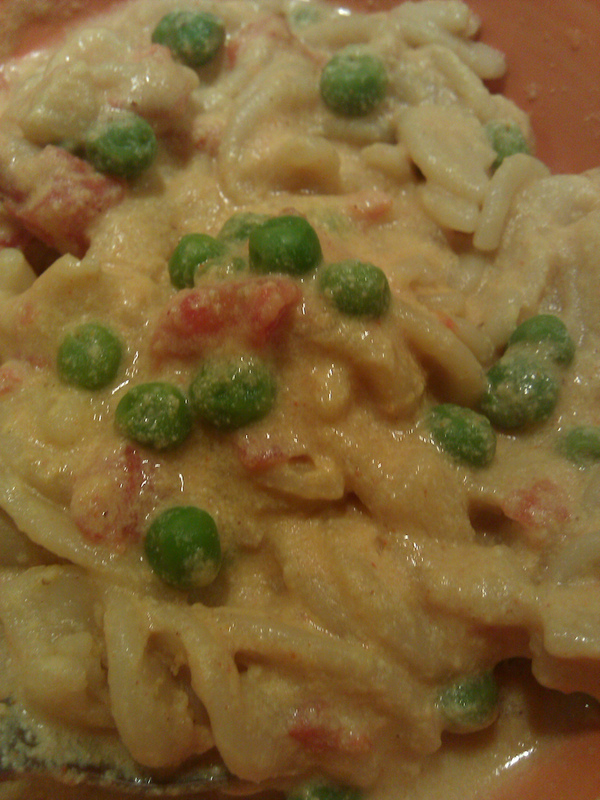 I even used the cayenne pepper – it gave it heat you don’t normally have with Mac’n Cheeze. Freshly cooked it was great, frozen was okay. I still liked it but the sauce separated a bit. So I’d recommend this dish for a meal without leftovers. But, it made for a very nice comforting meal.